Think Hong Kong, and many people think Cathay Pacific. It is a huge airline, and a dominant force in the former colony. 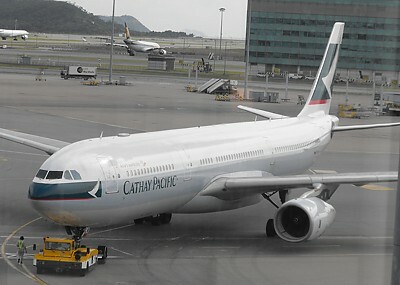 For years, it was the route of choice of many passengers flying from one part of the old lands of Empire to another, even if they didn't actually set foot in Hong Kong: the airport has always been a transit hub, with Cathay Pacific feeding it from all parts of the globe. The airline is resolutely full service, with above expectations service in all three classes. It's clean, modern, and it works. Aircraft are mostly new, with good inflight entertainment systems. Meals are hot and decent. Check in is efficient. And the premium classes are good, very good. First Class is noteworthy. Finally, the lounges at the hub - as befits an airline that has made an art of its hub-and-spoke route map - are among the best in the world, with a lot of effort going into making sure that when you step off one really long haul flight, you can get three hours of peace before the next day long flight. 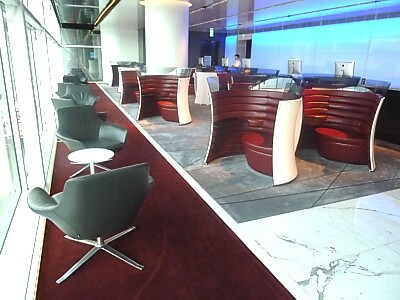 Read more about Cathay Pacific Lounges. With all that, it can come as a surprise to find that some passengers - the ones that use the airline regularly - call the airline Cathay Pathetic. In part this is because the airline loves those up the front rather than economy passengers: and no wonder. The Chief Executive has recently complained that it takes 20 economy passengers to pay the profits of one up the pointy end. Cathay Pacific Reviews always note that in economy, ground staff in Hong Kong can be very strict (woe betide you if you have excess luggage), boarding is organised chaos, and the meal service is haphazard, inconsistent (great choice one day, poor the next) and with the service starting from random seats, and worse, and at random times throughout the flight. Logical it is not. Fancy an 8 hour overnight flight with dinner 3 hours in, and breakfast after 5 hours? Welcome to Cathay Pathetic. 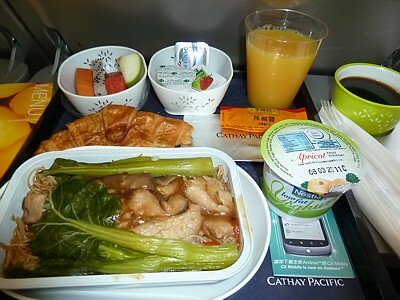 Read more about Cathay Pacific Food. There is now Premium Economy on Cathay Pacific, which is a notable step up from Economy. Cathay Pacific has confirmed the latest refit of Boeing 747s will include both the all-new premium economy seats, and going back to the older economy style seats without the hard shell. 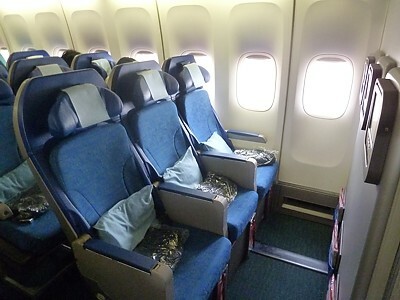 There are 26 seats in Cathay Pacific Premium Economy, which have a 38 inch pitch, 19.3 inch seat width and an 8 inch recline. Cathay pacific premium economy reviews are good, with the seats similar to Qantas Premium Economy, with a large meal table and cocktail table, plus a 10.6-inch seatback television and noise-cancelling headphones, a power socket for UK/Hong Kong plugs, and a USB charging socket. Read more about Cathay Pacific's Fleet and seats. The airline is vast, with 114 destinations serviced by a hundred aircraft in the decidedly mixed fleet, which is split pretty much equally between the Boeing and Airbus camp. Read more about Cathay Pacific Fleet and seats. 25 million passengers a year now travel on the combined operations of Cathay Pacific and Dragonair, Cathay's offshoot in China, through which it gets increasing amounts of trade. The airline is called Cathay Pacific, quite simply because the two founding ex RAAF pilots thought the name sounded good. It comes from Cathi the ancient name given to China (derived from "Khitan") and Pacific because they hoped to one day fly across the Pacific. The Chinese name for the company comes from a Chinese idiom meaning "Grand and Peaceful State", which is either true if you're up the front, or shows a remarkable sense of humour, if you're in economy. The airline's slogan of "Great Service. Great People. Great Fares." Comes in for some criticism too, and you've got to be lucky to catch a special fare that is particularly great, although if Cathay notice a destination is doing particularly badly it does tend to have a knee jerk fire sale fare that is a really good deal.